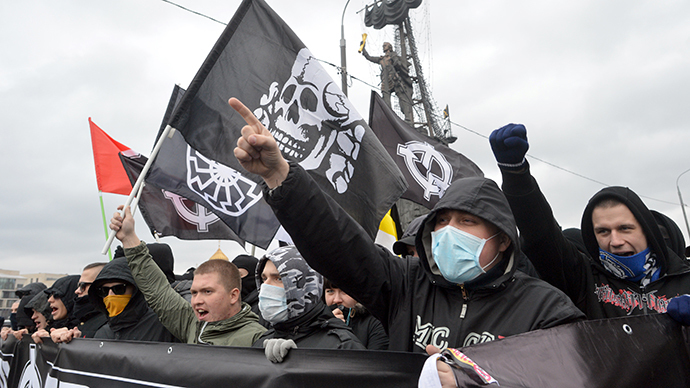 City officials have revoked the earlier-granted license for an October 19 nationalist rally, saying they could not guarantee the safety of participants after recent ethnic conflicts in the district of Biryulyovo. One of the organizers of the rally, the leader of the ‘Russians’ political bloc Dmitry Dyomushkin wrote in his internet blog that he and other organizers of the rally had been summoned to a district prefecture and informed that the previously issued permit for the rally had been annulled. Civil servants explained that they could not guarantee the safety of rally participants after weekend events in the district of Biryulyovo. Police detained about 400 rioters and over 1,000 foreign citizens in Biryulyovo and closed one of Russia’s largest vegetable warehouses following a conflict sparked by the fatal stabbing of a local Russian man, allegedly by an Azerbaijani illegal immigrant. The authorities also said that they preferred not to hold a nationalist rally whilst Muslims were celebrating the holiday of Kurban Bairam (Eid al-Adha) which started on October 15 and lasts for four days. According to Dyomushkin, the authorities granted permission for the rally on October 9. 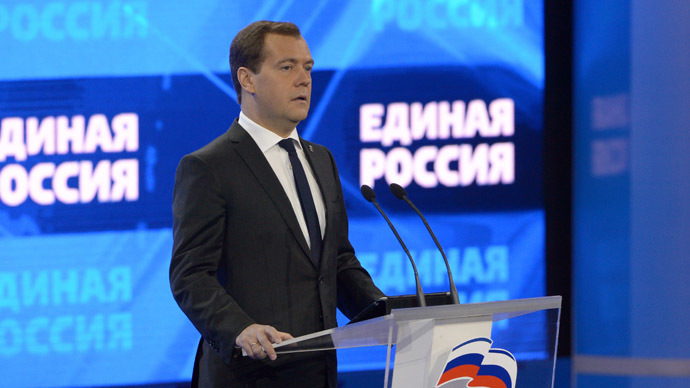 The event was to be held on Narodnogo Opolcheniya Street in the north-west of Moscow, almost across the city from the southern suburb of Biryulyovo. Dyomushkin currently heads the supreme council of a loose nationalist ‘Russians’ bloc with an agenda of protecting the rights of ethnic Russians both inside the Russian Federation and abroad. Dyomushkin also used to head the ‘Slavic Union’ movement, which was banned in 2010 as extremist and racist. At the same time, some of Dyomushkin’s moves indicate that he is open for dialogue with other ethnic groups and confessions. In 2011 he traveled to the Chechen republic at the invitation of local authorities and highly praised the developments in the region and the governing style of its leader. In early 2012 he again traveled to Chechnya and spoke before the parliament of the republic, praising the role of ethnic Russians in the Russian Federation. Dyomushkin is also known as a key organizer of the so called Russian Marches – mass rallies of Russian nationalists that take place annually on November 4 which is marked in the Russian Federation as the Day of People’s Unity. In 2011, between 10,000 and 25,000 people rallied at the Russian March in the remote Moscow district of Lyublino. 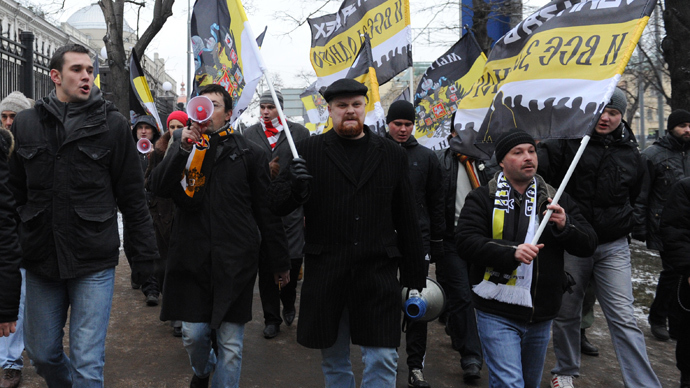 In 2012, the march was held in the city center and also gathered over 10 thousand participants. The ‘Russians’ bloc has already announced that it is preparing for a Russian March in 2013, but has not yet submitted an official request to the city authorities.